Founded in 1980, we are the oldest Bartending School in Maryland. Our real world, hands-on-training will give you the skills and confidence needed to start Bartending right away. Our school is recognized and respected by the people who matter the most; The people who hire BARTENDERS! 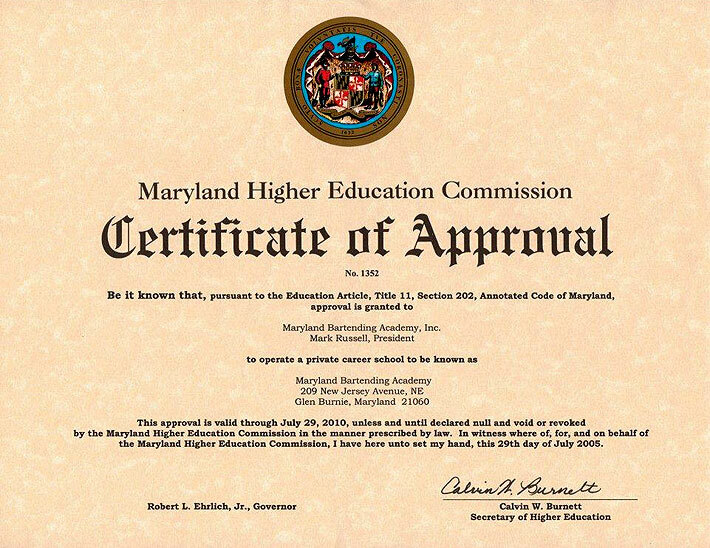 Fully approved by the Maryland Higher Education Commission. Accredited member of the Better Business Bureau with an A+ rating. Exclusive training facility for the entire Maryland and Washington, DC area by the Professional Bartending Schools of America. Affiliation with the Professional Bartending Advisory Board. 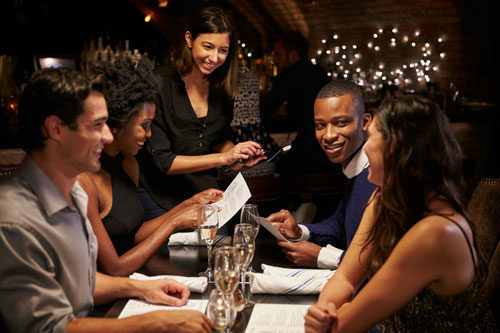 You will find our students everywhere; from cruise ships, ski resorts, nightclubs, fine restaurants, luxury hotels, vacation resorts, or just around the corner in your local neighborhood pub. 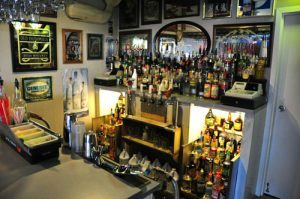 The fact is, where you practice your new bartending profession will be limited only by your imagination. It’s like having a career in a suitcase, no matter where you travel good bartenders will always be in demand. If you are interested, visit the Baltimore Maryland Bartending Academy today to observe one of our classes. The Free Intro Class is offered with no obligation to register. Learn more about the opportunities that will open to you upon completion of our course. We will be more than happy to discuss your individual questions about our bartending program. 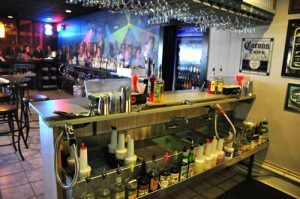 We know that once you have visited our Maryland Bartending School, explored all the avenues open to you as a bartender and have been introduced to our Job Placement Assistance Program, you will be anxious to begin your new bartending career in the greater Baltimore and Washington, DC areas right away. 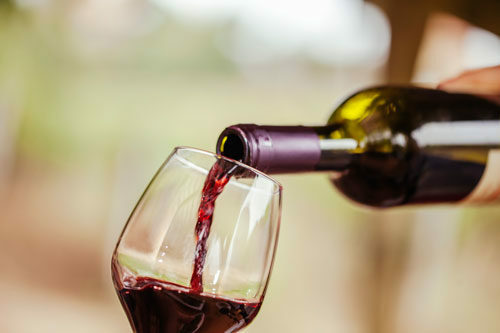 Free Bartending Classes – Baltimore, MD & Washington D.C.
Our classes are open to you as an observer for one free lesson so that you can sit in with our students and experience the program for yourself. During your visit with us, we invite you to look through our job placement files to see the type of jobs our graduates have obtained. We are not here to sell you, we are here to teach you. That is why we have an open door policy with no obligation to enroll. Our Staff understands your questions and needs. 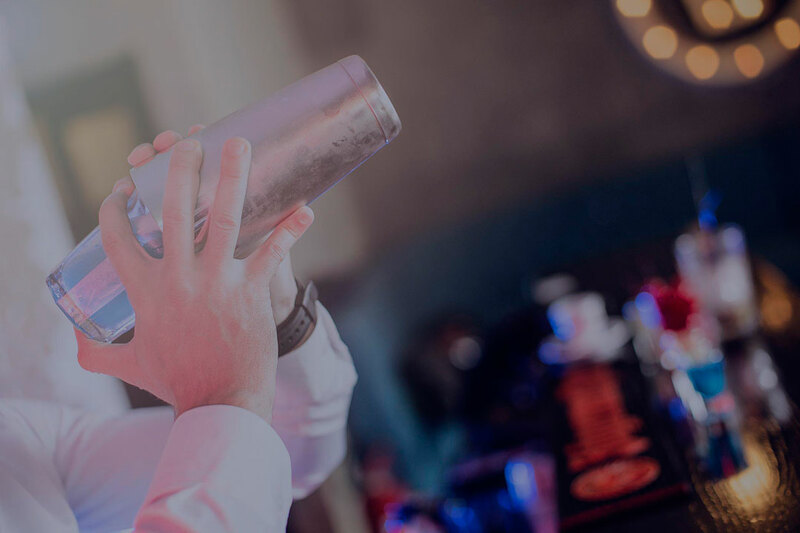 Each of our instructors has years of bartending experience and knows the industry well. We suggest you consult our Director for your specific questions. 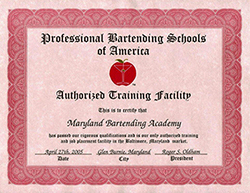 The Maryland Bartending Academy has been training and placing bartenders since 1980. As the oldest Maryland bartending school, we are proud to offer our students one of the” best” Bartending courses throughout the country. The school was founded by Mark Russell, who continues to be Executive Director at the academy. 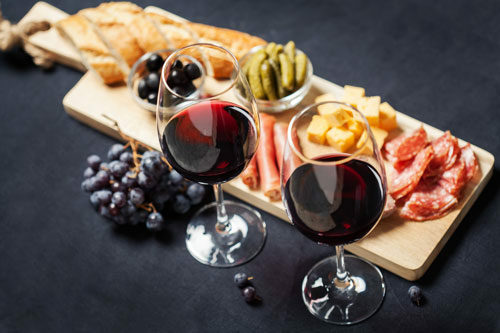 He received the opportunity of a lifetime when he was hired and trained by a well-known bartender/mixologist (Billy Warren) when he lived in Santa Barbara, California. 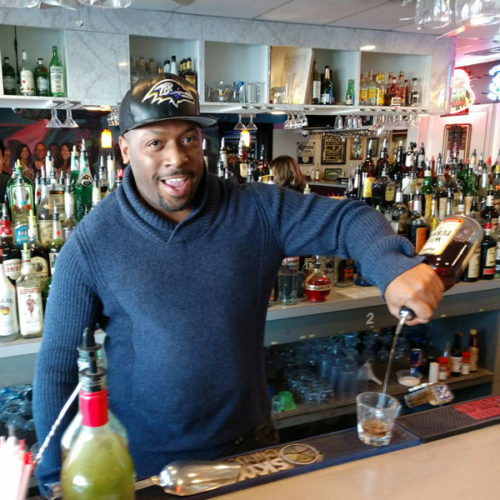 After being able to pay for school with what he learned and earned as a bartender, Mark returned to Maryland. His goal was to open a bartending school and teach students the same way he was trained – he realized that it was not enough to be able to pour a drink. A good bartender should know why he or she mixes a drink in a certain way. There were plenty of other talents he wanted to pass on to rookie bartenders, and over the years, these skills became part of the academy’s curriculum. It took him well over a year to write his bar guide, create the academy’s curriculum, and complete the Maryland Higher Education Commission’s application process before he was granted approval to open his school. The Maryland Bartending Academy is not only the oldest in the state; we have been recognized by both government and professional organizations for the level of education and training we provide our students. 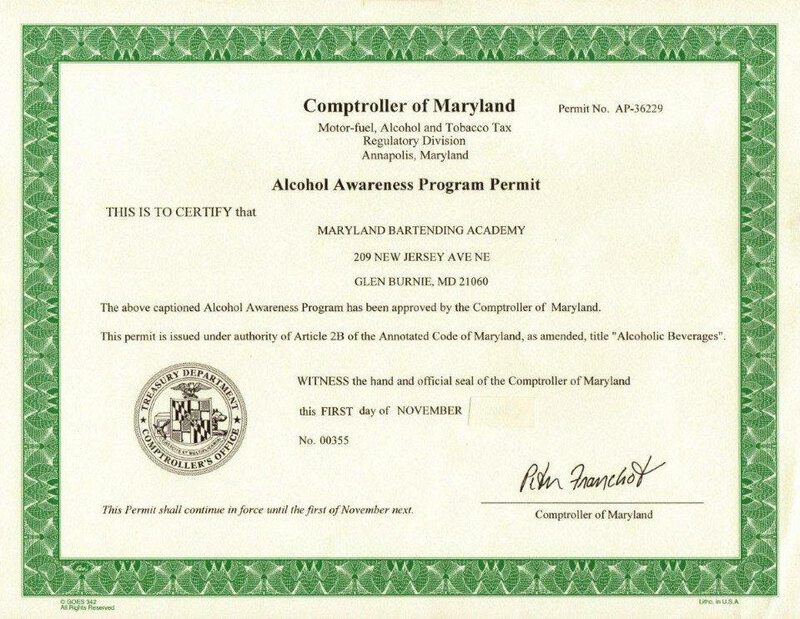 Founded In 1980, Maryland Bartending Academy was first incorporated. The same year, an application was submitted to M.H.E.C. 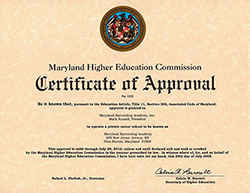 to open a bartending school and was approved by the Maryland Higher Education Commission. In 1981 we became an accredited member of the Better Business Bureau and we have always maintained an A+ rating. Since 1983, the Maryland Bartending Academy has been the only school chosen to train the bartenders who serve the President of the United States at Camp David for every administration since Ronald Regan. Click here for a free BBB report on us. 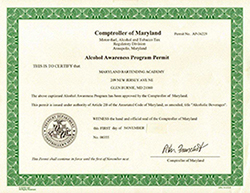 In 1989, an application along with our program’s curriculum was submitted and we received approval from the Comptroller of Maryland, Alcohol and Tobacco Tax Division to offer a state-approved alcohol awareness program. 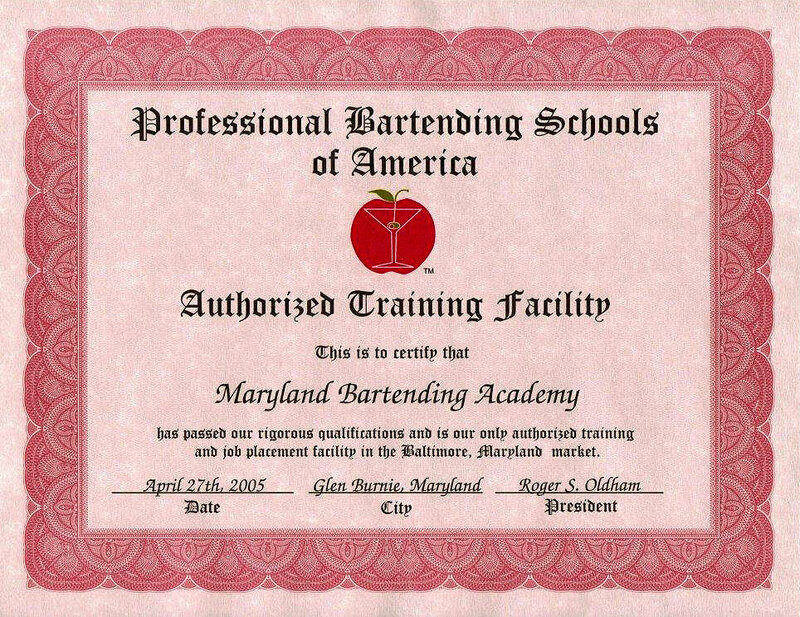 In 2005, we were selected as the exclusive training facility for the entire Maryland/Washington, DC and northern Virginia area by Professional Bartending Schools of America. In 2006, we received an official citation from the Senate of Maryland. Co-founder of the Professional Bartending Advisory Board. 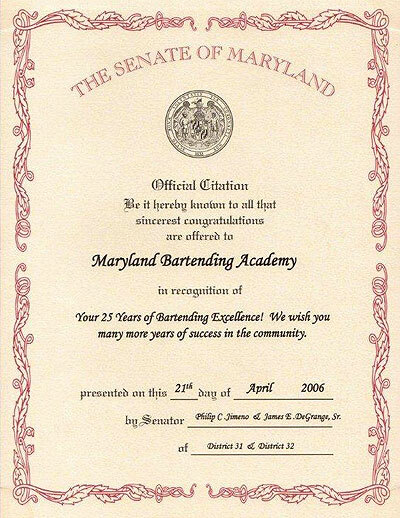 In 2006, Maryland Bartending Academy received an official citation from the Senate of Maryland congratulating us for 25 years of Bartending excellence. 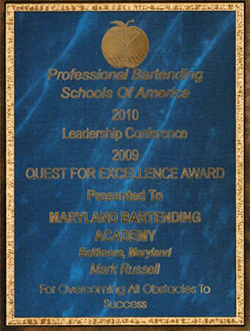 In 2010, we were awarded the Quest for Excellence Award by PBSA. Recognized and respected by the people who matter the most: The people who hire BARTENDERS! 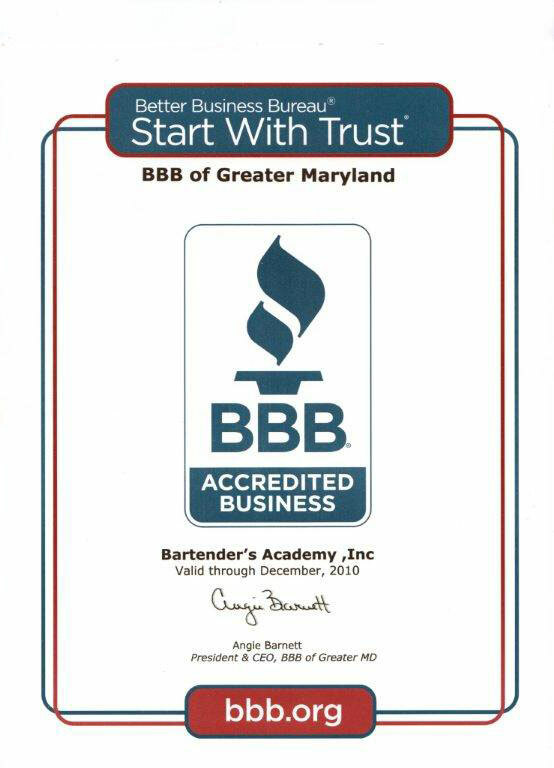 Maryland Bartending Academy believes in the old saying, “Practice hard, play great.” That is why we train our students using a fully functional bar stocked with the latest equipment and tools used in the bartending industry. Check out the gallery to see actual videos and pictures of our training facility. 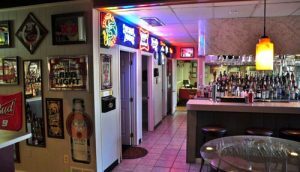 Our bar-like atmosphere will give you a “real sense” of on-the-job training. It allows you to experience exactly what it feels like to be behind a completely functional bar. You will be training with all the latest, high-tech equipment and tools used in the industry today. The school also makes use of video cameras at each station to record you as you learn. When you review the tape, you instantly see what you can do to better yourself – and that means you learn faster. Click here for an example. 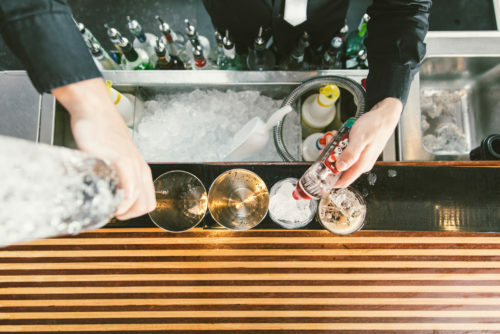 After you have completed your course, you will feel at home behind any bar – and provide excellent service to your patrons while enjoying your job. Of course, this type of service will also pay off immediately in gratuities and salary. Manual/Bar Guide, which is continuously updated to include the latest drinks and industry trends. Ready To Learn – And Earn? Sign up now for bartending training at Maryland’s oldest bartending academy. The high-quality training and education you receive at Maryland Bartending Academy begins with our experienced industry veterans. They teach everything from how to mix a drink to how to properly close a bar when the night is over. Hands-on training is our specialty, and when you complete the course you will be comfortable behind any bar, mixing any type of drink. Our main goal has always been to provide the highest quality instruction in the best learning environment available. 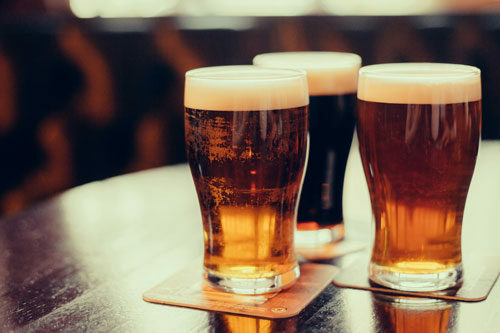 The instructors at the Maryland Bartending Academy are industry professionals who have spent decades in the service and bartending field. They share their passion, knowledge, and experience with every student. Our instructors – including our founder Mark Russell – work individually with each student to ensure he or she understands the procedures, process, and fundamentals. Each class begins with a lecture and demonstration from our instructors. Teaching in our state-of-art facility, in a controlled environment, instructors explain each step before they move forward. When you “learn by doing”, it is natural to retain more of the information. After the lecture is complete, students get behind the bar and practice what they just learned. This combination of teaching and doing enables our students to fully understand the methods and actions that produce excellent bartenders. 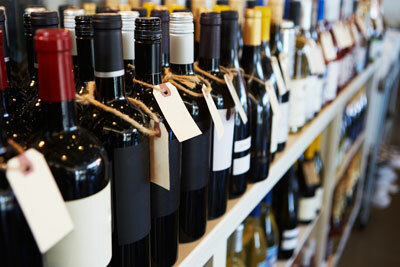 Working behind our bar also builds confidence – a trait that potential employers are always looking to see when they want to fill a position. Best of all, the experienced teachers at our school make the learning fun! Check out the Testimonials and see what the graduates of our bartending school have to say about our instructors. 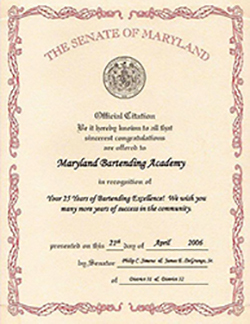 The Maryland Bartending Academy takes great pride in the experience we provide to our students. However, if you’re looking for an outside opinion feel free to click any of the links below!